”I want chocolate! And I want it now!”. ”Mmm..I shouldn’t have eaten that chocolate bar”. Do you recognize yourself in these phrases? If yes, keep reading, girl! I have the perfect beauty product for chocacholics! 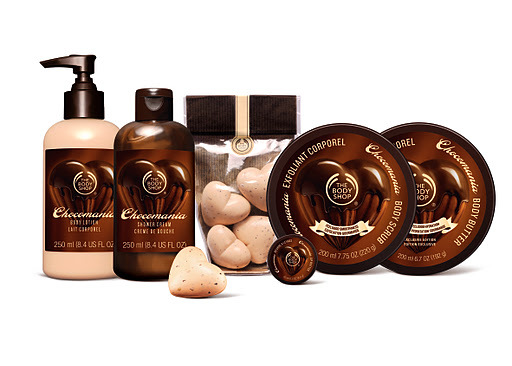 Or, better, The Body Shop people created THE best beauty products ever. 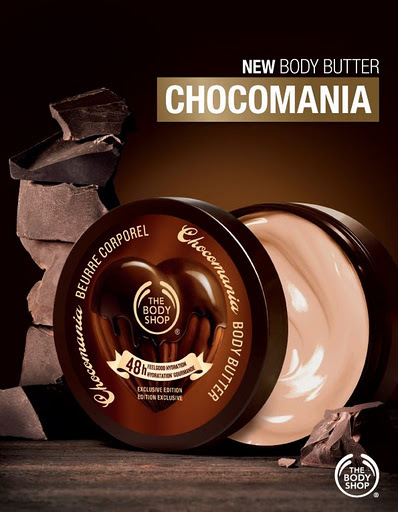 Well, get ready, girl, as The Body Shop introduces Chocomania, an amazing limited edition range of products!!! As you can easily imagine, all Chocomania products smell like chocolate. Yummy! The range contains a Body Butter(€15), Body Scrub(€15.50), Body Lotion(€12), Shower Cream(€7), Lip Butter(€6), Soap(€3) and Heart Soap Set (€6), all of which contain The Body Shop’s trademark Community Fair trade Cocoa Butter and their Body Butter includes organic sugar cane. This Limited Edition beauty line will be available from February (in Greece the release date is 6/2), just in time for Valentines Day. In case you want to gift him or her the Chocomania line, you could choose the Chocomania Set, created especially for Valentines Day. Would you like to try the Chocomania line? What do you think about products with such a *yummy* smell? Do you love them or do you hate them? The soaps contain real cocoa butter and exfoliating coconut shell. I try to imagine how soft should leave the skin!!! No! 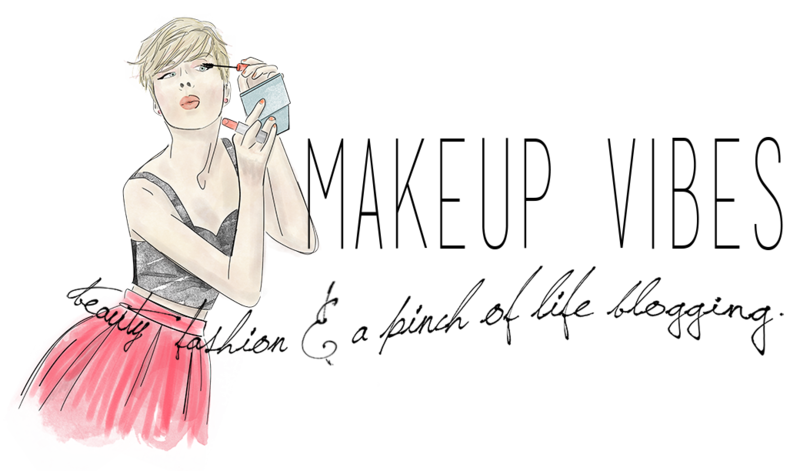 !I think i'll buy the whole collection just to be sure!Ah you reminded me sephora's chocolate collection ,I 've just put on the perfume… until the 6/2! I see that your list doesn't come to an end..ehehehe!! !